Extracto del artículo "How to Feed a Pregnant Neanderthal"
For a quarter of a million years, Neanderthals -- men and women -- were highly effective hunters. Throughout this enormous period of time, the next meal depended on killing large to medium-sized land animals (red deer, ibex, roe deer, wild boar, tahr, and chamois, together with larger game such as bison, horse, rhino, and elephant). Neanderthals probably enjoyed adequate calorie and protein intake. 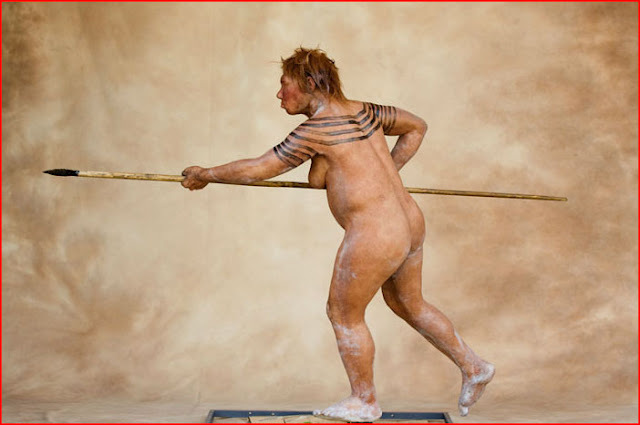 Their highly carnivorous diet, however, lacked adequate intake of micronutrients such as vitamins A, C, and E, which means that many Neanderthal women probably had high incidences of abortions, miscarriages, and stillbirths resulting in high fetal-to-infant mortality. Seguir leyendo el artículo "How to Feed a Pregnant Neanderthal"